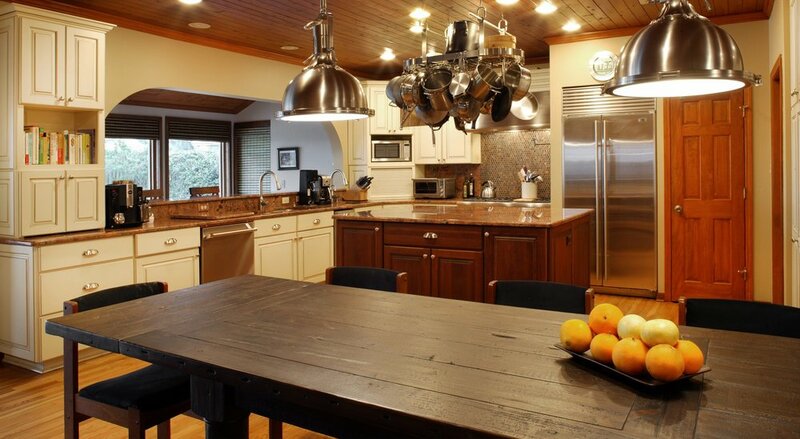 This immaculate kitchen and dining room remodel was completed in the Mandarin area. The beautiful dining room table and bench that can comfortably sit 10, was built and stained by Sport Nobles Construction. The contrast of the old world feel of the large brick fireplace, with the traditional white cabinetry and stainless steel appliances, provide a completely unique feel to this kitchen/dining area. It provides a warm and cozy feeling, that is hard to replicate.